I would be interested in a 15khz monitor regardless of its size. I recently acquired an Intellivision 2 to test the mod... and unfortunately it doesn't quite fit. The video connector is off center by ~1.5mm. Just enough for the video cable not to fit. This affects only the mini DIN pcbs since the dsub 15 pcb will require case tooling anyway. 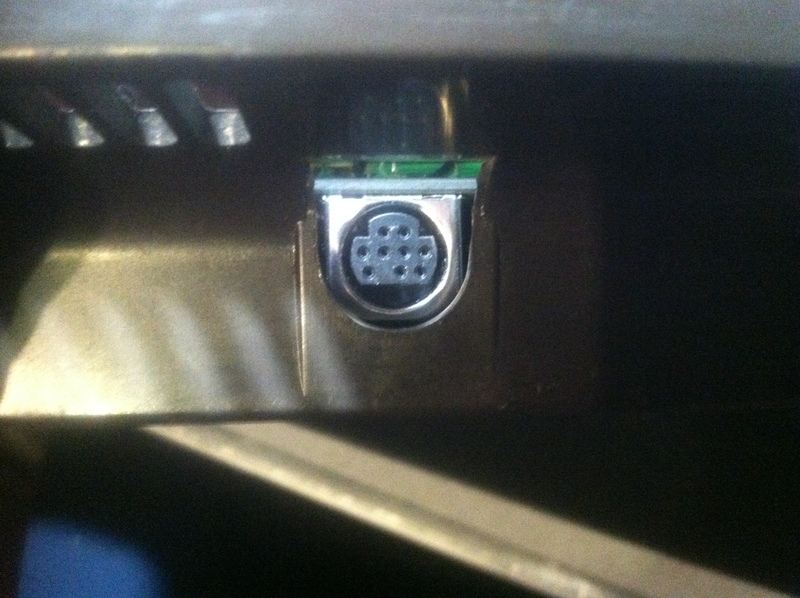 Also, the solder pad for the video pin does not line up correctly. 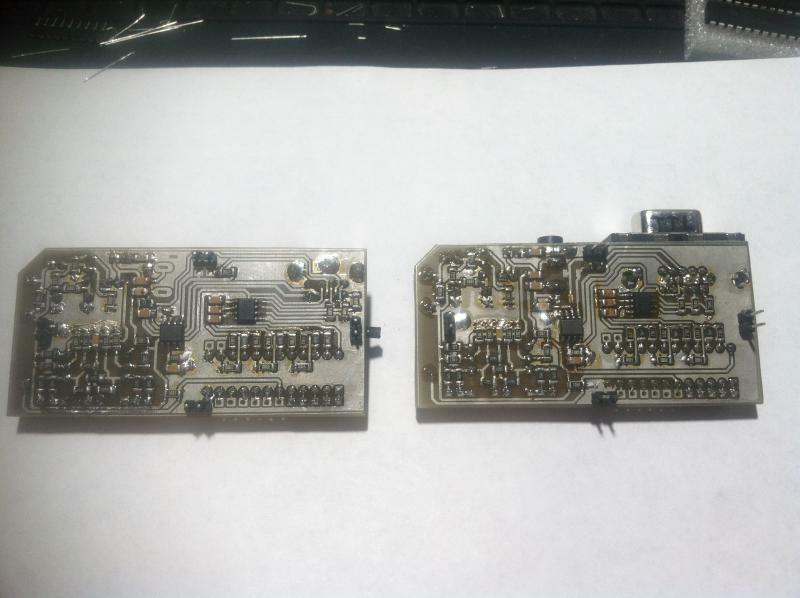 A jumper wire or bent resistor lead will be required for this first run of boards. This means I'll have to design separate pcbs for the Intellivison 2. I have also designed breakout boards for the COLOR and SOUND chips so no more bending leads and soldering directly to chips! but not on the 5872. 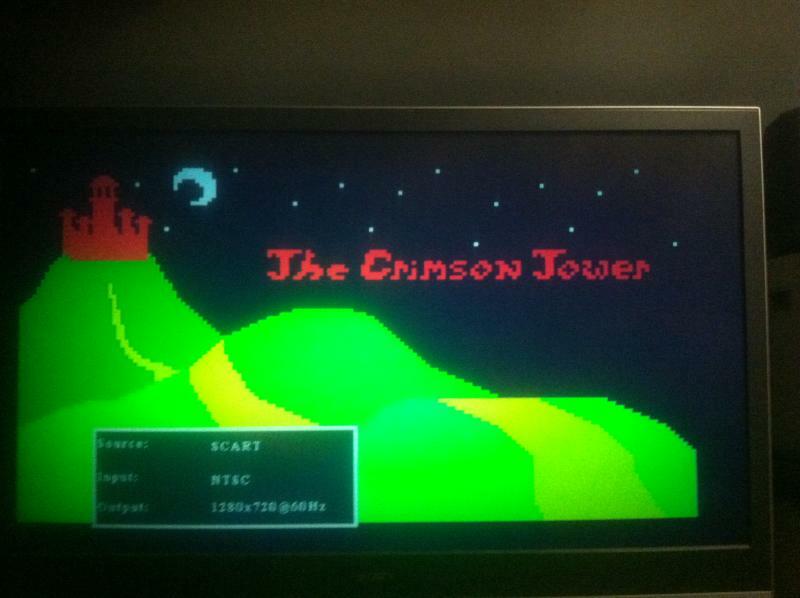 I did some more testing with the cheap hdmi video scaler and had good results. 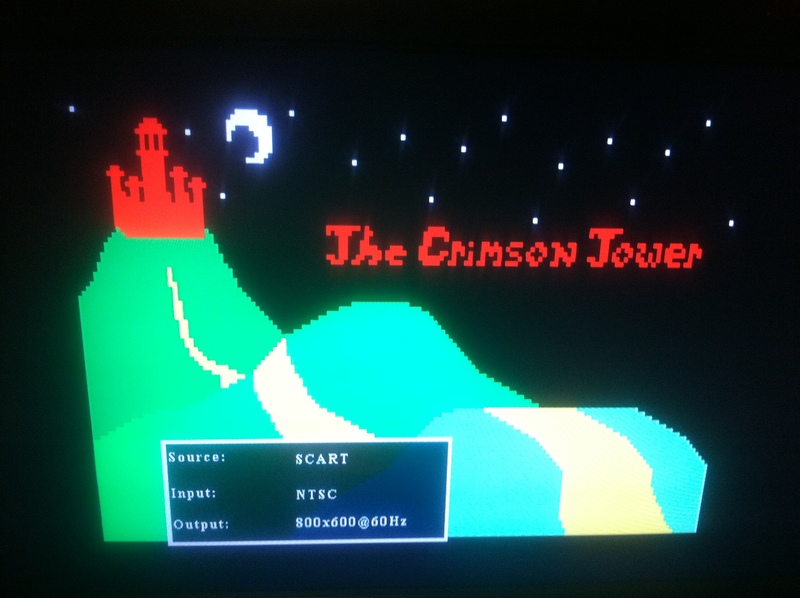 I tested an Emerson LD190EM1 lcd tv and a Sony Wega KDF-55E2000 rear projection tv and the picture looked great on both. No haziness between the letters at all. 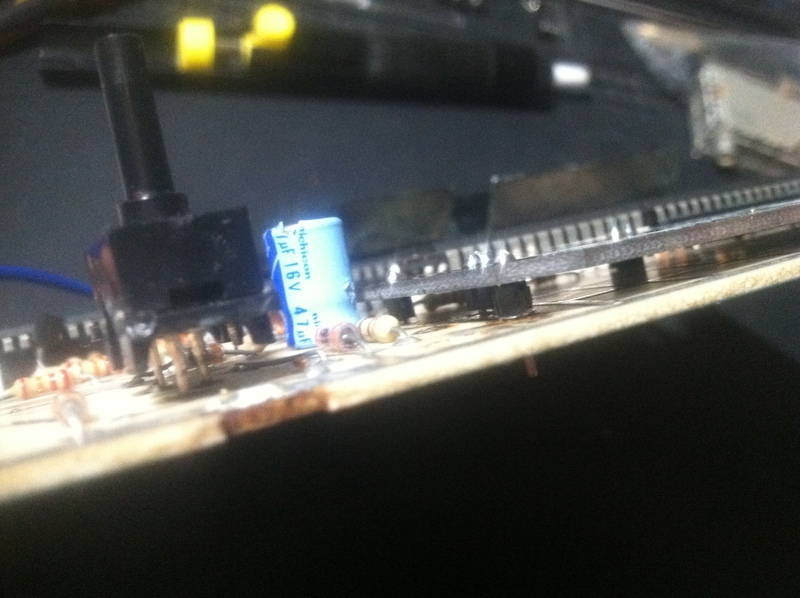 Removing the series capacitors on the rgb wires of my scart cable had little effect on the picture so I left them in. Unfortunately the pictures I took don't capture the quality. The lcd that gave the bad results was an LG 19LH20-UA. 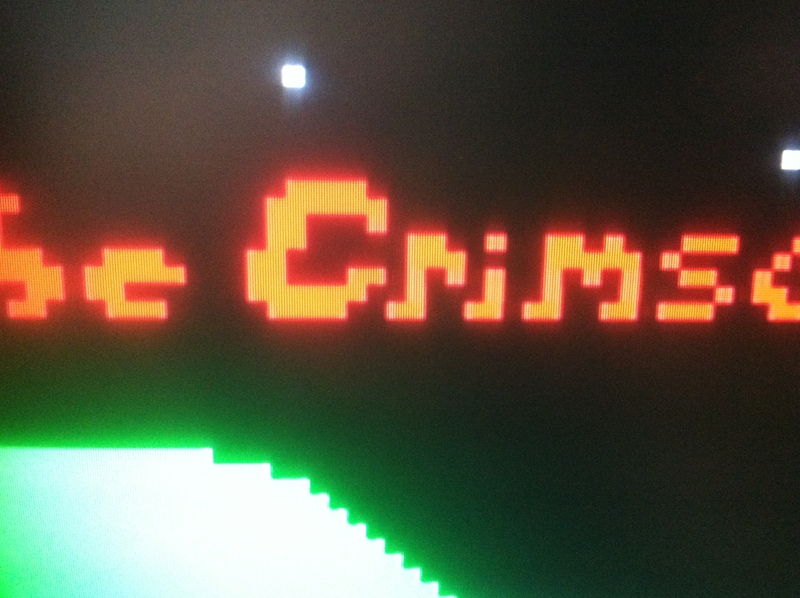 Seeing how my mod uses sync signals derived from the console video I assume it will work just fine. We'll find out for sure once I get some boards out to the testers. Also, I will be designing an 8pin mini DIN pcb with a pinout that matches Fred's mod and the XRGB input. 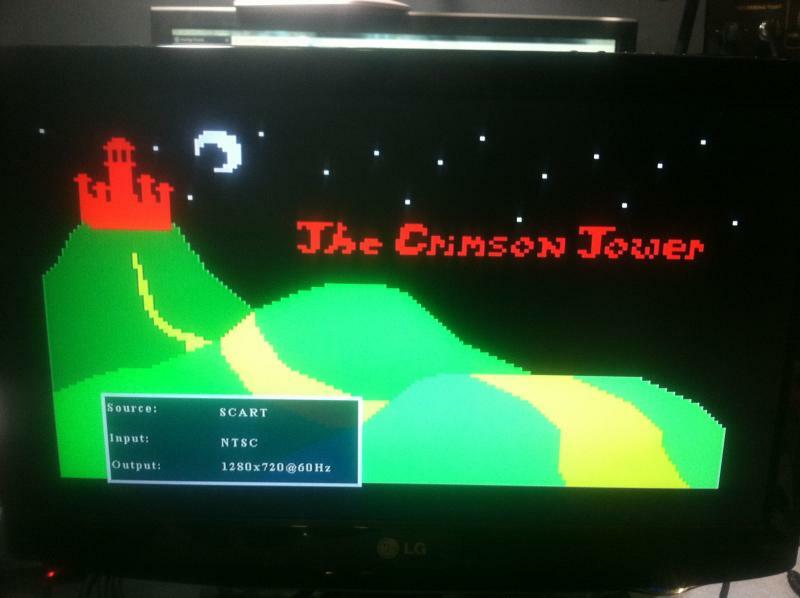 Just got another person on board to test my mod with their framemeister. The video scaler arrived today. In short order I had the intellivision -> scart cable -> scaler -> hdmi monitor setup working. 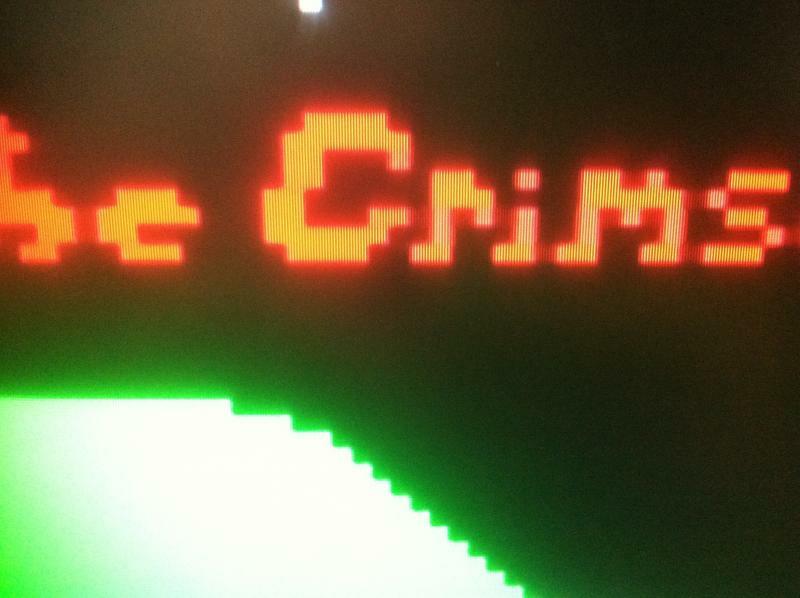 The scart cable is some generic one I bought off ebay to demonstrate my mod is compatible with Genesis 2 rgb cables. Pulling one of the V1-V4 wires verifies the scaler is processing rgb and not composite video. The picture quality is better than in the photos below but is still not super sharp. 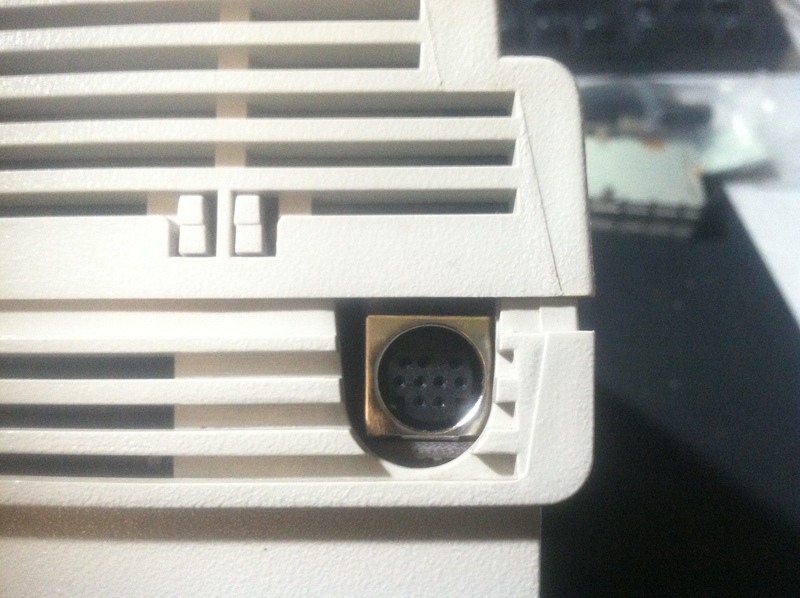 The scart cable is neither 75 ohms or ground shielded so that is the first thing I want to try changing. It's also a cheap scaler so it could just be that. Either way I'm happy that my mod works with standard unmodified equipment. I am looking for an Intellivision 2 to do more testing. If you have one and would like to sell/trade it, send me a pm and we'll work something out. I have someone lined up to test my mod on their OSSC, but if you have a different scaler and would like to test let me know. Thanks! I've got both boards designed and built. I'm pretty happy with how everything looks so I will be ordering some professionally made boards in the near future. I think I will change the necessary through-hole pads to SMD to make the installation process easier. The expansion pads will remain through-hole so the end user can solder pin headers in and connect their expansion boards arduino shield style. 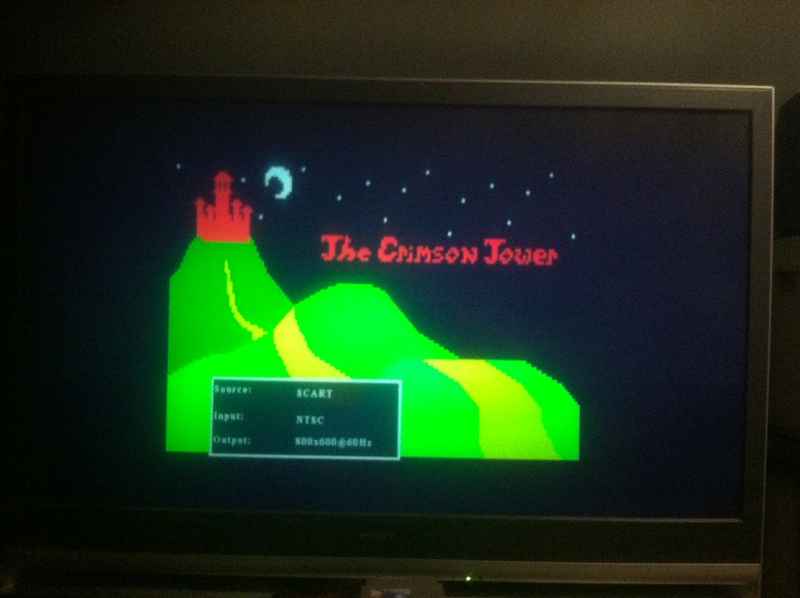 I decided to add composite video to the dsub 15 board. The end user can decide to not populate the LM1881 (and a few passives) and jumper composite video on pin 13, or populate all components and have c-sync on pin 13 and v-sync on pin 14. The picture below shows everything populated. The female pin headers are there just for testing purposes. - The 3.5mm audio jack is optional for this board and you can get stereo audio from the mini din9 connector. 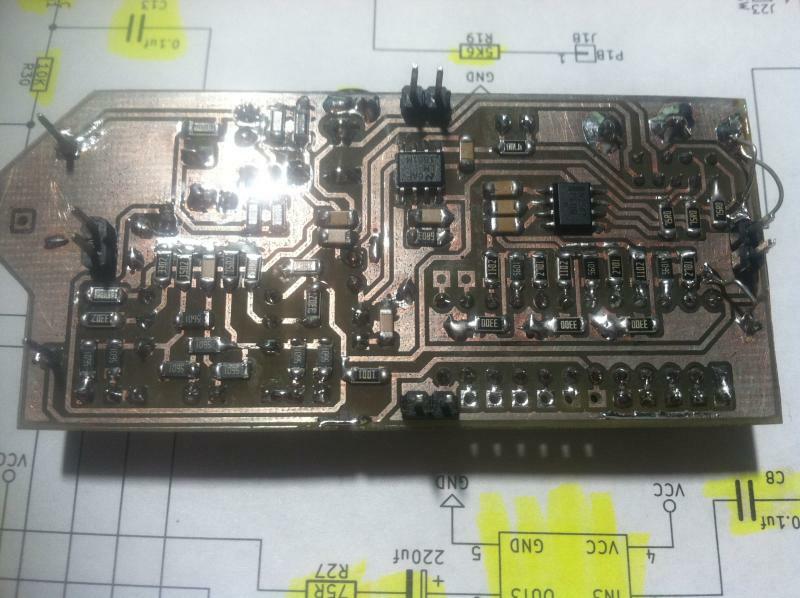 - The top of the pcb is a giant ground shield to help eliminate interference. - Cutting off the 12v leg will not affect any other part of the circuit. The soldering did take a few hours with a pencil iron and thin solder. It's a little ugly because I had to pull the parts from the old board and most of the SMD parts still had solder on them. And yes, the channel switch still swaps the palette. Success! 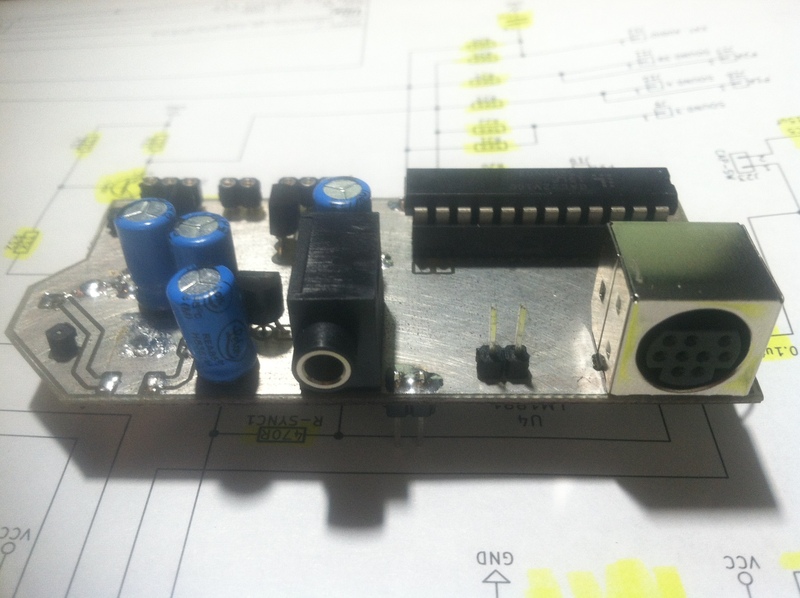 I now have a working prototype for the mini din9 board. When I was creating the footprint for the mini din9 connector I was measuring the pins from the bottom but assigning pin numbers from the top, therefore reversing the pinout and rendering my first board useless. 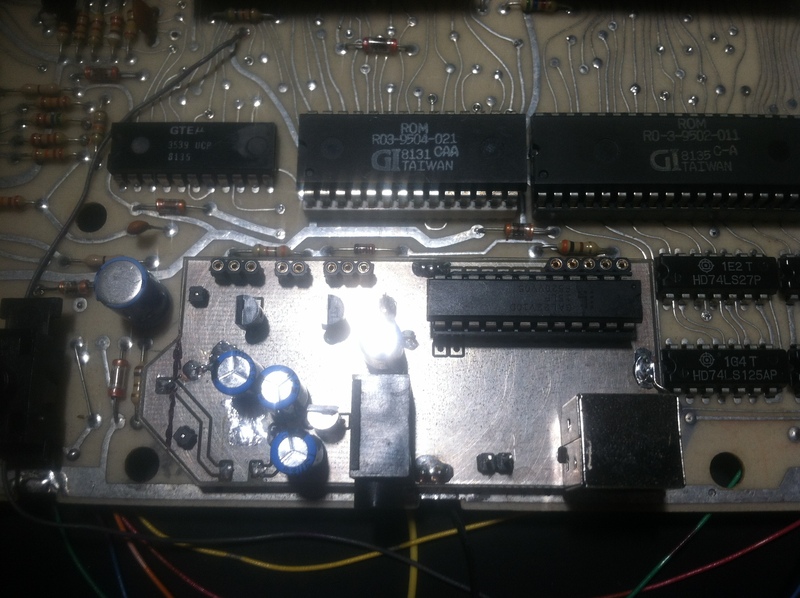 Well, it actually worked fine, it just didn't follow the Sega Genesis model 2 pinout. However, my second board works well. Currently there are female pin headers where the wires will be soldered. 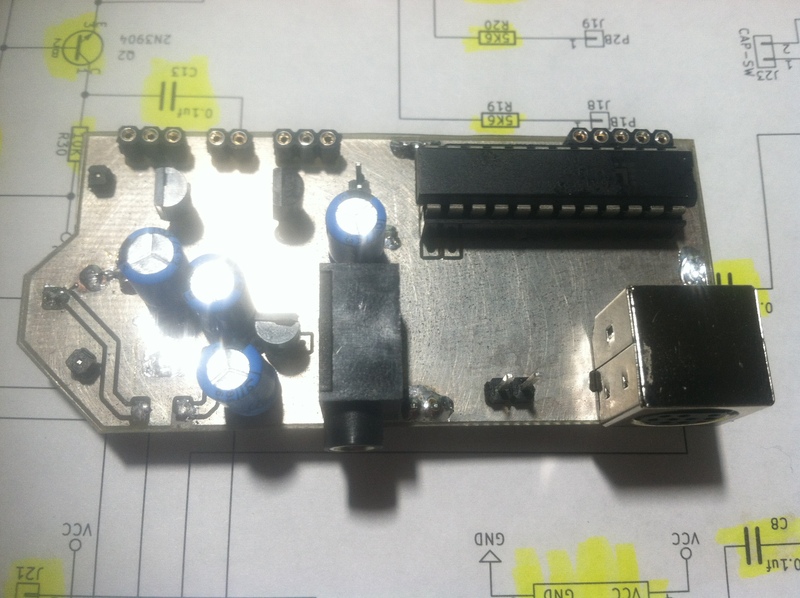 That allows me to work on the board without having to desolder a bunch of stuff. I decided to omit the voltage regulator and just pull +5v from the mainboard, it just runs too hot. Below are some pictures of the board and a staged install. I don't want to solder it in until I make the dsub 15 board. 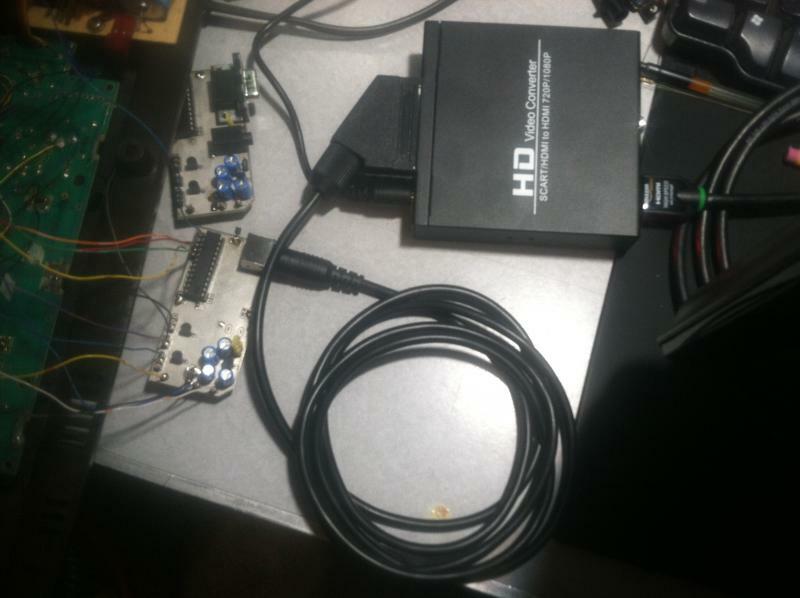 I should receive the scart to hdmi scaler I ordered in about a week or so and just received my Genesis model 2 rgb scart cable, so I will post some pictures of that when it arrives to demonstrate sega pinout compatibility. I will also post pictures of the dsub 15 board when I get that built. 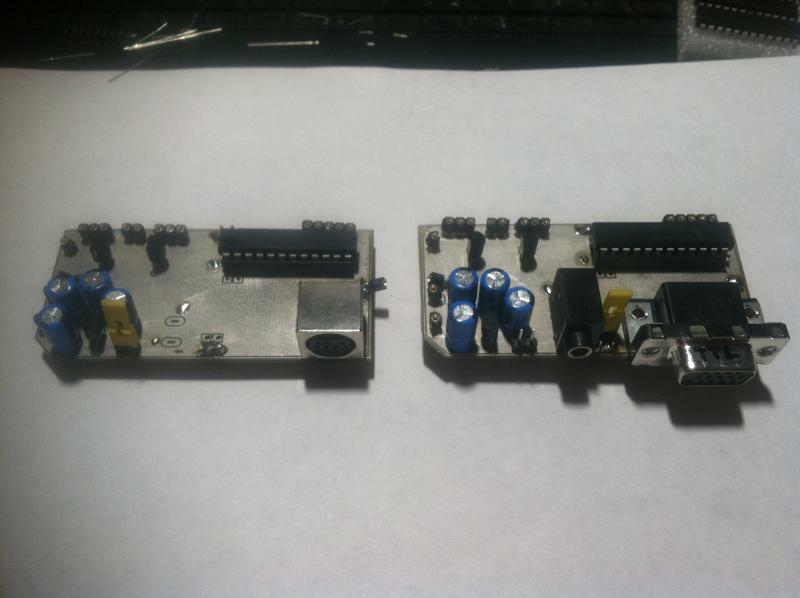 Once I'm comfortable with both boards I will have them made professionally then begin work on the mod instructions. The alignment is almost perfect! You could limit each room to 8 interactive objects and dedicate an object status variable to each room. Dedicate another variable to door status for 4 rooms, and toggle bits when items are hit or doors are opened/closed. Keep all of the coordinate data in tables. If you were to limit the amount of rooms to 40 or 45, you could pack each room into its own 16-bit variable. This allows you to add more doors and items to each room while leaving a couple 16-bit variables for other uses. Parts are in the mail now and I will give another update once I get things working. Nice work! 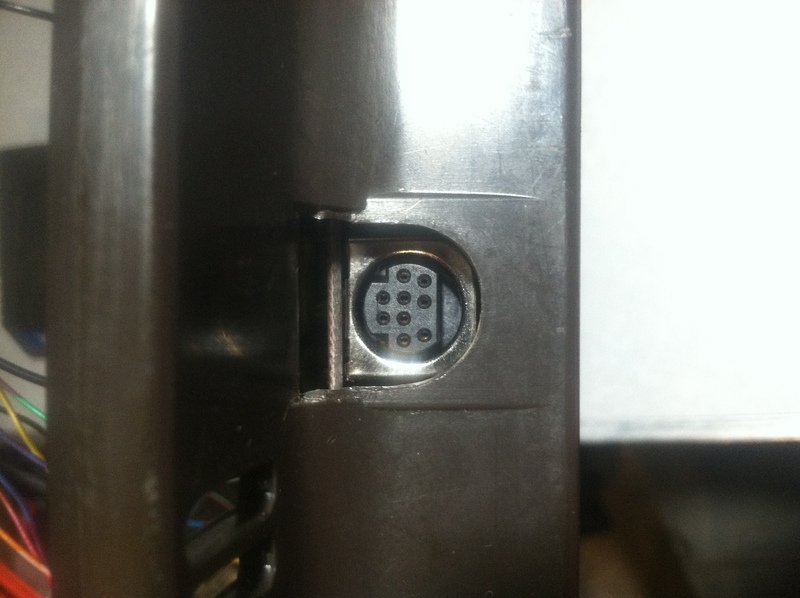 If you can plug that SCART cable into a Sega Genesis model 2 and it works then the cable will be compatible with my mod as well. As far as palette switching goes, the two default palettes will be the standard NTSC palette and a palette with colors that better match what they're called in the datasheet. 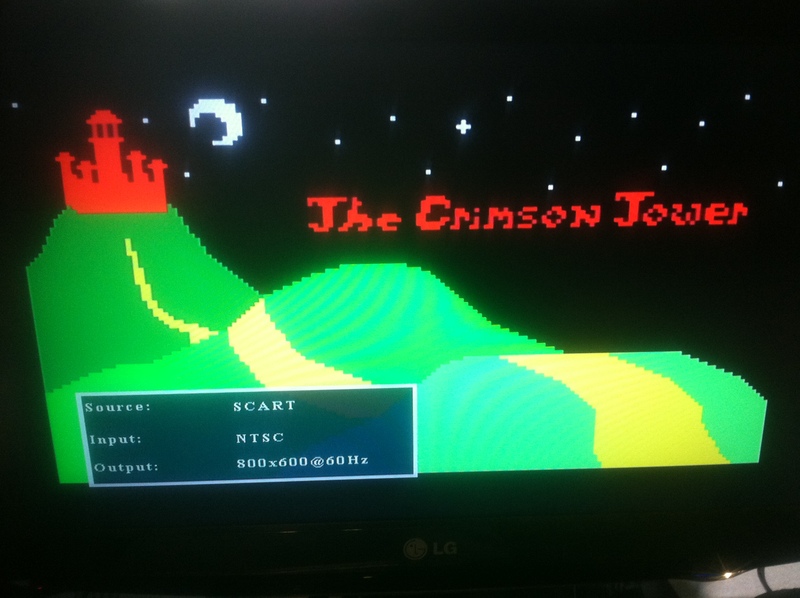 The palettes are switchable with the channel switch and if you have a TL866 programmer you can download WinCUPL and create your own palettes. I think it would be cool to have a collection of palettes created by everyone uploaded here. Then people could pick which they like best and update their firmware. 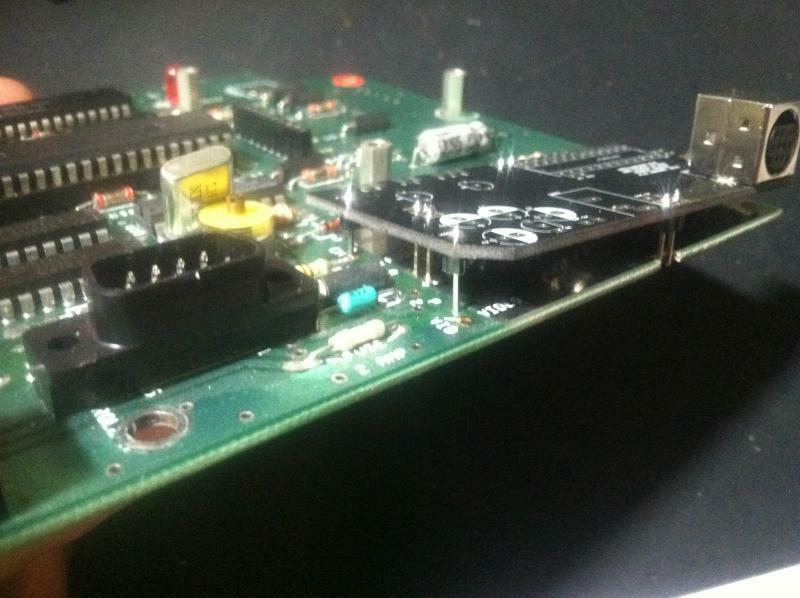 I'm putting the finishing touches on the pcb now so hopefully I can get in the garage soon and make a prototype board. 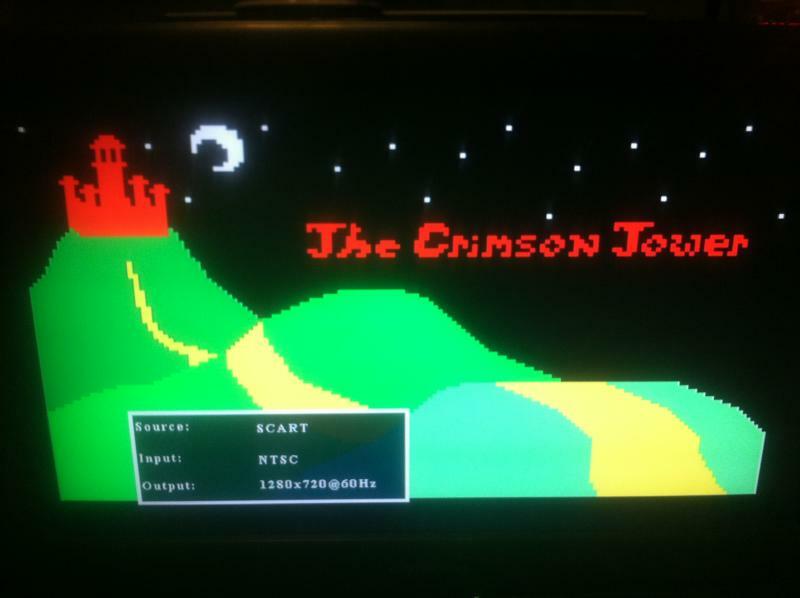 This is my first RGB console mod truth be told, and I only modded my Trinitron so I would work on projects like this and learn more about RGB.